Hearthstone: PC Gamer leak reinforces 'Rastakhan's Rumble' expansion premise – AiPT! Looks like that Rastakhan’s Rumble information from the official North Korea Blizzard channel wasn’t just conjecture; Blizzcon ’18 is just getting underway in Anaheim, California — but a leak earlier today from PC Gamer further supports the notion that Hearthstone‘s upcoming expansion will be troll-centric and feature a battle royale hosted by God King Rastakhan himself. 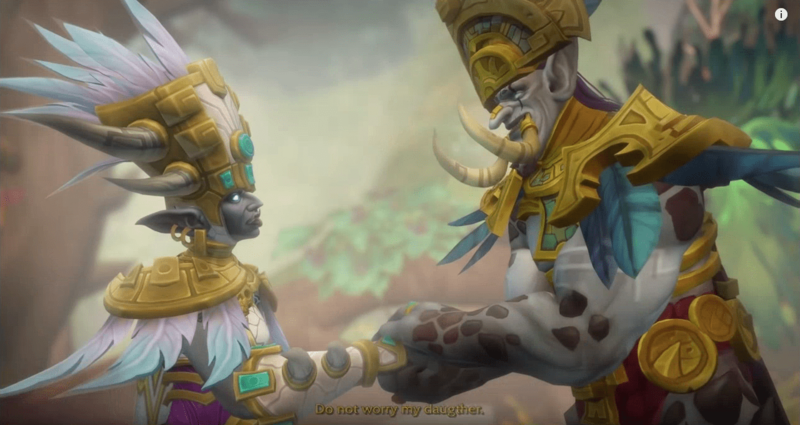 Once every generation, Azeroth’s Troll tribes come together to compete for the blessings of the Loa and the favor of King Rastakhan. The no-holds-barred battle forms the basis for Rastakhan’s Rumble, the next Hearthstone expansion, which was just revealed today as part of the BlizzCon opening ceremony. Nine teams will take part in the latest iteration of this time-honored Troll-down, each led by a Legendary Troll Champion representing one of the Hearthstone classes. The Loa, ancient spirits worshipped by the Trolls, will also take part in the fighting as Legendary minions. Shirvallah the Tiger is the Paladin Loa, which costs a cool 25-Mana to cast. You can reduce that outlay by casting spells, but even so it seems like a restrictive price for an effect that’s probably only going to be good in incredibly slow control decks. Are you ready for Hearthstone‘s upcoming expansion, Rastakhan’s Rumble? Sound off in the comments.